Above: Tens of thousands of copies of Mayor Pugh’s self-published “Healthy Holly” books are still unaccounted for. 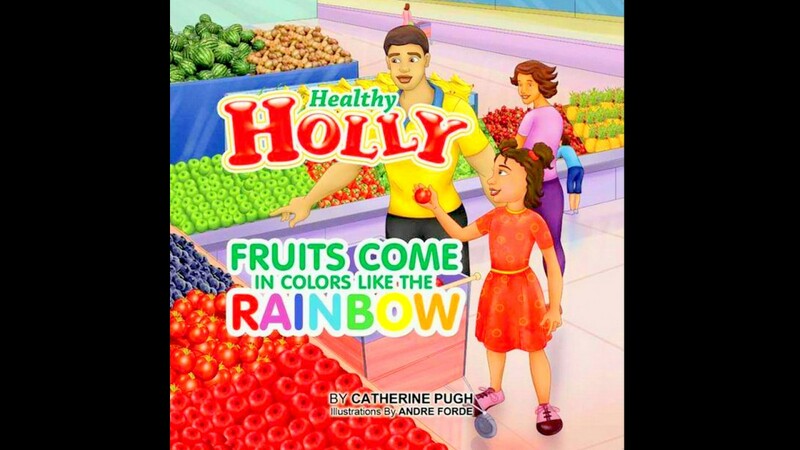 “We can confirm that approximately 8,700 copies of ‘Healthy Holly: Fruits Come in Colors Like the Rainbow’ are currently located in a district warehouse,” Anne Fullerton, a spokesperson for City Schools, said this afternoon. “According to recollections of staff members, between 2011 and 2013 City Schools received an unsolicited shipment of books by then-state Senator Catherine Pugh for distribution to students,” Fullerton wrote. “We have been unable to locate documentation related to this shipment, given the number of years that have passed,” she said. Today’s discovery was tantalizing, but left the mystery surrounding the book transactions largely intact. According to Pugh’s disclosures on file with the Maryland Health Services Cost Review Commission, UMMS purchased 100,000 Healthy Holly books for distribution to city schoolchildren. Pugh has said 20,000 of those books – the latest UMMS purchase – are on order. After today’s sighting of warehoused and apparently untouched books, 71,300 more still remain unaccounted for. The other lingering question is the lack of documentation by City Schools of the donation. Failure to record such a gift is a direct violation of school board policy. Fullerton had no explanation for the administration’s failure to follow board policy.